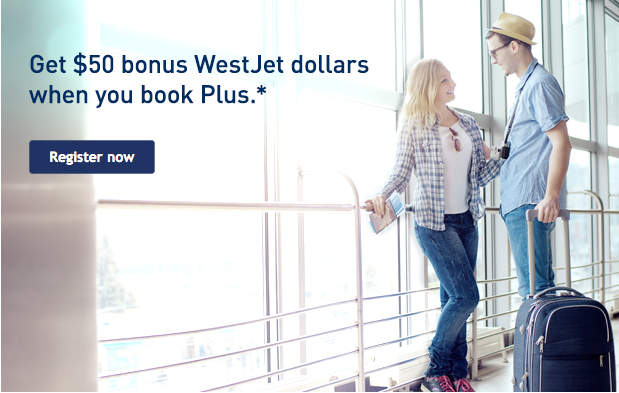 WestJet Rewards has launched a new bonus offer for booking Plus fares on select routes across their network. The offer is for $50 Bonus WestJet dollars each way so if you are booking a round trip in Plus you'll actually earn $100 bonus dollars. Remember that as of September 14th Plus seats get enhanced as the middle seat in the Plus seating section on the 737s will now be blocked. Of course with that comes higher priced Plus fares so hopefully this bonus will counteract that increase for some of you! Also you'll see Calgary-Toronto is included and that route should see the new WestJet Boeing 767's on it sometime in September so you can try out the new wider Plus seats if you are flying that route.